FUUFHC Bylaws. Updated May 2015. PURPOSE – The purposes of the Fellowship are religious, charitable and educational. We strive to be a vibrant and welcoming congregation whose mission is nurturing spiritual journeys, expanding social justice. 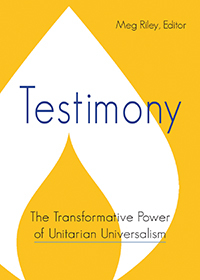 We strive to provide a community committed to deepening knowledge and understanding of Unitarian Universalism. We aim to reach out to the Hunterdon community and the world, promoting the high human values expressed by the Principles and Purposes of the Unitarian Universalist Association (hereinafter UUA), and working for a just and sustainable world. DENOMINATIONAL AFFILIATION – The Fellowship shall be a member of the UUA and of the local Metro NY District. We will pay annual dues to the UUA, Metro NY District, and the Unitarian Universalist Legislative Ministry of New Jersey for each Member of the Fellowship per the affiliation guidelines. NON-DISCRIMINATION CLAUSE – The Fellowship affirms and promotes the full participation of persons in all our activities and endeavors including membership, programming, hiring practices, and the calling of religious professionals, without regard to race, color, gender identity physical or mental challenge, affectional or sexual orientation, class or national origin. PRINCIPAL OFFICE – The principal office of the Fellowship shall be located at Route 519 and Oak Summit Road, Baptistown, Hunterdon County, New Jersey. A person is eligible for membership if she/he is at least 18 years of age, in sympathy with the Principles and Purposes of the UUA, is willing to abide by these Bylaws, has attended at least three services in the last 12 months, and has completed UU101, or equivalent orientation to Unitarian Universalism and the Fellowship. The age requirement for membership at 1.a. above will be waived for any youth between the ages of 14-18 upon completion of the ‘Coming of Age’ Program of the Fellowship. An eligible person may be enrolled as a Member by signing the Membership Book in the presence of two members of the Executive Board. Expectation – it is the expectation of the Fellowship that each Member will fully participate through attendance, service, and financial support to the best of their ability. Termination – A Member may be dropped from the roll by written resignation, death, inactivity or expulsion. The Executive Board may declare a Member dropped based on the annual review recommendation of the Membership Committee in consultation with the minister and Stewardship Committee, in order to ensure accurate count of membership. Expulsion – A Member may be expelled from membership by a 3/4 vote of the Board upon determining that the conduct of the Member is detrimental to the Fellowship. Friend – a person is a friend if she/he regularly attends scheduled services, contributes through service or financial donations, and is not enrolled as a Member. Duties – The Executive Board will be the governing body of the Fellowship, subject to the prime authority of the Members of the Fellowship and is the principal policy forming and administrative body of the Fellowship. The Executive Board has full authority and responsibility, except as limited by these Bylaws, to act on the business and programs of the Fellowship. Annual Report – At each Annual Meeting of the Fellowship the Executive Board shall submit a written report. This report shall include a summary of all financial transactions completed during the preceding year, the condition of tangible property, the financial status, and a report from each of the Standing Committee chairpersons that summarizes the activities of their respective committees. Membership – The Executive Board shall consist of the Officers and Trustees as provided in section VIII and the minister as an ex-officio, non-voting member in accordance with XV. A. 3. No person shall occupy more than one position. An Executive Board member’s term shall cease upon the end of the fiscal year of the last year of the term or upon resignation. Every Executive Board member shall, at the time of her/his election or appointment, be a Member of the Fellowship and at least 18 years of age. Scheduling of Meetings – The Executive Board shall meet monthly during the regular Fellowship year (September-June). Other Executive Board meetings may be called by the President, the Vice President or by four members of the Executive Board. Meeting dates shall be provided to the Executive Board and the Fellowship via regular communications channels. Meeting Conduct — Meetings of the Executive Board will be conducted in accordance with Robert’s Rules of Order. Quorum – Four members of the Executive Board shall constitute a quorum. All Executive Board meetings are open to the Fellowship. Fellowship Members who are not Executive Board members may speak at Board meetings, but may not make motions or vote at Board meetings. A portion of an Executive Board meeting may be closed to all except Executive Board members and invited participants to conduct business related to personnel and or legal matters upon a vote of three quarters of the Executive Board members present. All financial records, legal documents and other papers of the Fellowship are open to the Members of the Fellowship. However, the identity of individual pledges and financial contributions will be known only by the President, the Vice President, the Minister, the Chair of the Stewardship Committee, the Treasurer and the Treasurers designee appointed pursuant to VIII. D.
The Executive Board shall make minutes of their meetings available as soon as practical after each meeting. Attendance – The Executive Board members shall attend meetings in person whenever possible. In extenuating circumstances the Executive Board may conduct its business by electronic means, includingemail, telephone, fax, computer, or other appropriate electronic, means by which all persons participating in the meeting are able to communicate with one another. Such participation shall constitute presence at the meeting. Emergency Voting – When time sensitive issues requiring Executive Board action arise between scheduled meetings, the President may call for voting by electronic means (e.g., email). Such votes shall be ratified and documented at the next meeting of the Executive Board. Vacancies – A vacancy on the Executive Board occurs whenever a person on the Executive Board submits a written resignation, dies, or is removed from office. The Executive Board shall fill any vacant position by appointment of a Member at least 18 years of age to serve until the next Annual Meeting. Attendance – Executive Board members are expected to attend all scheduled regular and special board meetings. Absence from three consecutive or four total board meetings in one year may be grounds for removal from the Executive Board. Removal from Office – The Members of the Fellowship have the power by a two thirds vote of Members present and voting at a Congregational Meeting to remove from office any member of the Executive Board. List of Officers and Terms – The Officers of the Executive Board of the Fellowship shall be President, Vice President, Secretary and Treasurer. Each shall serve a term of two years. President – The President shall serve as principal executive officer of the Fellowship and shall in general supervise the affairs of the Fellowship. The President shall convene the Fellowship and shall preside at Congregational Meetings of the Fellowship. The President shall sign, together with another Officer of the Executive Board, any deeds, mortgages, bonds, contracts or other instruments that have been previously authorized by vote of the Members or by vote of the Executive Board. The President will perform all other duties incident to the office of President. Vice President – In the absence or incapacity of the President, all the powers, responsibilities, and restrictions of that office shall transfer to the Vice President. Treasurer – Shall have charge of the finances of the Fellowship; shall keep careful and accurate records of income, receipts and expenditures of the Fellowship; shall pay the bills and charges that are in the approved budget or are approved by the Executive Board; shall report to the Executive Board at its monthly meeting; and shall perform such functions as assigned by the Executive Board. At the cessation of his/her term of office, all books, accounts, vouchers and documents belonging to the Fellowship shall be delivered to a successor or to the President. With the consent of the Executive Board, the Treasurer may appoint a designee to assist in any duties of the Treasurer assigned by the Executive Board. Secretary – Shall keep and maintain an accurate record of the meetings of the Fellowship, including but not limited to all Congregational Meetings, the Annual Meeting of the Fellowship and the meetings of the Executive Board. There shall be three Trustees on the Executive Board with equal duties. Term of Office – The term of the Trustee shall be three years, with staggered terms so that only one Trustee term expires each year. Duties – Each Trustee shall be appointed to act as a Liaison to one or more committees as needed. Trustees shall perform such functions as assigned by the Executive Board, including acting as liaison to specific Standing and Ad Hoc Committees as needed. Nominating Committee – A Nominating Committee of at least three persons who are not members of the Executive Board shall be approved by the Members at a Congregational Meeting. Nominations – The Nominating Committee shall provide a qualified candidate for each Officer or Trustee position to be filled at the annual meeting. The list of nominations shall be sent to all Members at least twenty-one days in advance of the annual meeting. Additional Nominations – Additional candidates for positions of Officer or Trustee may be nominated by petition. Such petitions must be written, signed by at least five Members and delivered to an Officer at least fourteen days before the annual meeting. Appointment and Reporting – Standing Committees shall be appointed by the Executive Board and shall report to designated liaison of the Executive Board. The Board President is an ex-officio member of each Standing Committee. Duties – The chairperson of each Standing Committee shall be a Member of the Fellowship and shall work with his or her committee to fulfill the mission and vision of the Fellowship. Each chair shall request and use money as budgeted, and shall submit receipts of all expenditures to the Treasurer. Each committee chairperson shall complete an annual report of the goals, objective and activities of the committee as requested by the Board Liaison. Ad Hoc Committees – In addition to the Standing Committees specified above, the Executive Board may appoint Ad Hoc Committees as deemed necessary. The duties of such committees shall be prescribed by the Executive Board and they shall cease to exist upon discharge of their prescribed duties. Fiscal Year – The Fellowship year shall begin on July 1 of each year and end on June 30th of the following year. Budget – During the fiscal year, the Executive Board shall conduct the finances of the Fellowship in accordance with the budget approved by Members. The Finance Committee shall develop a preliminary, balanced budget under the direction of the Executive Board. Once approved by the Board, the proposed budget shall be brought before the Members for a vote. The President of the Executive Board shall call a Congregational Meeting in May of each year for approval by vote of the Members of the congregation..
Effect of the Budget – If at any time during the fiscal year projected expenses exceed the budget, the Executive Board may reallocate funds, as long as the reallocation does not exceed budgeted expenses by more than ten percent. If there is a projected deficit, or if reallocations are expected to exceed ten percent of the approved budget, the President of the Executive Board shall immediately convene a Congregational Meeting to inform the Members of the situation and to take appropriate action. Execution of Financial Instruments – Checks and other orders on the funds of credit of the Fellowship, and all contracts, and instruments in writing by the Fellowship, shall be binding upon the Fellowship only when executed by such Officers as shall be designated and authorized by the Executive Board. Restricted Funds – Funds provided or solicited for a designated purpose shall be separately listed in the Annual Report to the Fellowship and in the Annual Budget. Restricted funds may not be used for any reason other than their intended purpose without a two-thirds majority vote of the Members present at a Congregational Meeting. Review – At the end of each fiscal year, the Finance Committee, under the direction of the Executive Board, shall conduct a review of the books of accounts and shall report thereon to the Board and to the Fellowship in the annual report and/or other written communication. Schedule – There will be a minimum of three Congregational Meetings each year: a Congregational Meeting in March to elect Officers; the Annual Congregational (Annual Meeting) meeting in May, during which the budget vote is taken and Annual Report is presented; and a Budget Reconciliation Meeting in October. Notice – Written notice of all Congregational Meetings of the Fellowship must be sent to all Members at least fourteen days prior to the meeting. Such notice of Congregational Meetings shall be printed in the Order of Service, posted in the Fellowship hall, and announced from the pulpit at all services conducted during the fourteen days preceding the meeting. Only business stated in the notice shall be voted upon at the meeting. Quorum and Vote – The quorum for a Congregational Meeting shall be twenty percent of the membership. Only Members who are physically present shall be eligible to vote. Each Member shall be entitled to cast one vote on each motion brought before the Fellowship. Presiding Officer – The President of the Executive Board shall preside at all Congregational Meetings. In the absence of the President, the Vice-President shall preside. Meeting Conduct – All Congregational Meetings of the Fellowship shall be conducted according to Robert’s Rules of Order. Special Meetings – A Congregational Meeting may be called at any time by the President of the Executive Board, or in his/her absence, the Vice-President. In the absence of both of these Officers, a 2/3 vote of the Executive Board is required. PROPERTY – The real property of the Fellowship shall not be purchased, sold, conveyed, encumbered, or made subject to any lien unless first authorized by a vote of 5 members of the Executive Board, and three-fourths (3/4) of the voting Members in attendance at a Congregational Meeting. The Minister is responsible for the conduct of worship within the Fellowship and the Fellowship’s spiritual interests and affairs and shall have freedom of the pulpit as well as freedom to express his or her opinion outside the pulpit. The Minister will be employed under written contract that clearly stipulates the duties, compensation, and other conditions of employment. The Minister will serve as an ex-officio, non-voting member of the Executive Board. Requirements – Any candidate for the position of Minister shall hold Fellowship with the Unitarian Universalist Association. A three-quarters vote at a Congregational Meeting shall be required to ordain, call, engage, hire or discharge a full time or part-time Settled Minister. In the event of a vacancy in the position of Minister, a Ministerial Search Committee shall be established as an Ad Hoc Committee in accordance with these Bylaws for the purpose of identifying, screening and bringing to the Fellowship for consideration candidates for the position of Settled Minister. The Search Committee shall consist of at least five voting Members of the Fellowship, including at least one former member of the Executive Board. The Nominating Committee shall submit the nominees for the Ministerial Search Committee to be voted upon at a Congregational Meeting. In the event of a vacancy in the position of Minister, the Executive Board shall have the authority to fill the position of Minister with an interim Minster in accordance with UUA guidelines. Dismissal and Termination of Call — By a majority vote at a special meeting for that purpose, the voting Members of the Fellowship may dismiss the minister. Written notices of such a meeting must be mailed to Members three (3) months prior to the meeting. In the case of dismissal or resignation, ninety (90) days written notice will be given. Minister’s Authority – The Minister shall be the chief of staff for employees of the Fellowship; shall be responsible to the Executive Board for implementing the policies determined by the Executive Board; and shall operate under the general supervision of the Executive Board. Filling Staff Positions – The Executive Board has responsibility for ensuring all positions are filled in a timely manner. Other Professional and Support Staff – All other staff shall be responsible to the Minister, who shall determine direct lines of reporting as appropriate to a staff member’s job duties. These Bylaws shall be subordinate to the Constitution and Laws of the United States of America and the State of New Jersey and the Certificate of Incorporation of the Fellowship. Amendments – Amendments to these Bylaws may be proposed by the Executive Board or by petition to the Executive Board of at least twenty percent (20%) of the voting Members. All proposed amendment(s) shall be included in the Order of Business of the Congregational Meeting at which they are to be decided. The notice of any such meeting at which any such proposed amendment(s) shall be considered shall include a copy of the proposed amendment(s). Adoption of proposed amendments to these Bylaws shall require a two-thirds (2/3) vote of those present and voting at such meeting. Bylaw Review – At least every decade, the Executive Board will propose a review to update these Bylaws. DISSOLUTION – Should the Fellowship cease to function or the membership vote by two-thirds (2/3) majority to disband, any remaining assets of the Fellowship, after payment of debts, shall be distributed or transferred to the Unitarian Universalist Association (UUA).